If you want to master different techniques of eye makeup, you'll find everything you need here. Classic eye makeup techniques, mysterious V-shaped eye makeup, "banana" makeup, and the famous smoky eyes are not so difficult to make. All of them are easy to learn, all you need is the desire and a little patience. And, of course, you need high-quality makeup: eye shadows, pencils, and mascara. 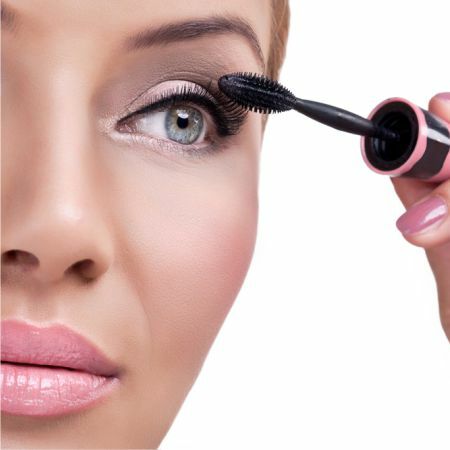 The various names of mascara speak for themselves: lengthening, curling, water resistant, volumizing, etc. As for eye shadows, it is better to buy ready-made kits, which combine the most suitable colors. If you still have doubts, you can always turn to the shop assistant and get necessary clarifications concerning the composition and other questions related to the acquisition of makeup products. Makeup artists are coming up with new eye makeup techniques in order to make them even more beautiful. The eyes express emotions, feelings, thoughts, and speak more than a thousand words. Femmes fatales, famous beauties of the past, and popular film heroines always have great, mysterious, expressive eyes. These eyes are impossible to forget. But what if nature did not endow you such eyes? The answer is to master eye makeup techniques that can help you correct the shape of the eyes and make them more expressive. If you have large eyes of the right shape with thick lashes, then by applying different eye makeup techniques, you can make them more beautiful, highlight their color, and so on. Your makeup will be harmonious and look complete, and you will be rewarded with the admiration of others. What eye makeup techniques are the most fashionable this season? The ones that suit you best. Fashion is changeable, from time to time some techniques of applying makeup or colors suddenly become more popular than others. But the priority is still something that is the best for you. Like the article «Eye Makeup Techniques»? Share it with friends!